You cannot deploy apps to a Microsoft Band directly, so there is always a kind of app running on the device to which it is paired on which the code is actually running. Typically this is a phone, but there since this is a Universal Windows App, there is no reason why it could not run on a PC, like this screenshot shows :). Yet, I have found out that although you can pair a Band to a PC, it will insist on connecting to the app before showing a UI, so you cannot actually use it with a PC. So for the time being, you should use a phone. This blog post will talk about the setup of the app itself, actually excluding most of the stuff related to the Band - and concentrate on how to setup a reasonably componentized app. This app also uses dependency injection, as discussed in my post about the app on the Raspberry PI2, but this one makes full use of the MVVM pattern - to be more specific, MVVMLight, by my fellow MVP (although I can barely stand in his shade) Laurent Bugnion. I make use of his ViewModelBase and Messenger, as well as SimpleIoC for some inversion of control, and DispatcherHelper to get help me solve potential issues with background processes having effects on the UI. a FanSwitchQueueClient, that will transport the command to switch the fan on or off to the Raspberry PI2 via the Azure Service bus. It's details were explained in the 2nd post of this series. It's now in Send mode, as opposed to the app on the Raspberry PI2. 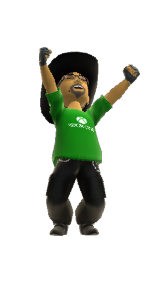 A BandOperator - a class that handles all interactions with the Microsoft Band as far as this app is concerned. This will be handled in detail in the next blog post. Notice it takes a FanSwitchQueueClient as a parameter - the BandOperator itself will handle the posting of the fan switch command (and defer the actual execution to the FanSwitchQueueClient). The method "RemoveTile" is called to remove the custom tile from the Band and is bound to the button labeled as such. IsListening is bound to the toggle switch, IsBusy is bound to the progress ring and the semi-transparent overlay that will appear while you switch the toggle, and the rest of the properties are just display properties. And that is all you need to know from the BandOperator for this blog post. Start basically kicks the whole thing off. I have found out that unless you specifiy the Task.Delay(1), setting IsBusy does not have any effect on the UI. Once, and I am literally talking the previous century here, I used DoEvents() in Visual Basic (6, yes) that had exactly the same effect ;) - now you get to see the progress ring and the overlay on the rest of the UI. Both this viewmodel and the bandoperator are made to listen to incoming temperature events on the TemperatureListener, and that TemperatureListener is started then. The bandoperator can do with it whatever it wants. Then we start a 'background session' to keep the app alive as long as possible. Then the band operator is started - this will in effect create a tile and a user interface on the connected Band, if that is not already there, and the Band will be made to vibrate. The application is running now. Stop, of course, neatly disconnects all events again and stops all the components. And the rest is done via data binding. How the BandOperator exactly works merits a separate blog post, that will end this series. If you hit the ToggleSwitch that is labeled "Get temperature data" you will notice Windows 10 mobile asks you to allow the app to track your location. This is in essence a trick to keep the app alive as long as possible - as I said before, the code to make the Band UI work runs on your phone but only does so to as long as the app is running ( and not suspended). I use ExtendedExecutionSession to trick your phone to think this app is tracking location in the background and should be kept alive as long as possible. I think using ExtendedExecutionSession was first described by my fellow MVP Morten Nielsen in this article. I also got some usage guidance on this from my friend Matteo Pagani. In this demo I am clearly misusing ExtendedExecutionSession, yet it kind of does the trick - the app is not suspended right away (as happens with a lot of normal apps) but is more or less kept alive, until the phone needs the CPU and/or memory and suspends it after all. So this trick only delays the inevitable, but for demo purposes it is good enough. A probably better way is described in this article by James Croft, which uses a DeviceUseTrigger. The StartFakeGeolocator does nothing special but creating a Geolocator that listens to location changes but does nothing with it. Have a look at the sources in the demo solution if you are interested. If the suspend request then finally comes, I neatly shut down the BandOperator for if I don't, all kinds of errors regarding accessing of already disposed native objects pop up. But it also shows a message (that is, a toast) that, when tapped, can be used to easily restart the app again and then OnResume kicks in. Upon resuming , I only need to restart BandOperator again (and a fake Geolocator for good measure). It is not quite rocket science: listen to the DataReceivedMessage, and if one is received, set the color of the attached Shape (a circle in this case) to the accent color, then return it to it's original color. The effect can be seen in the video in the first post of this series. 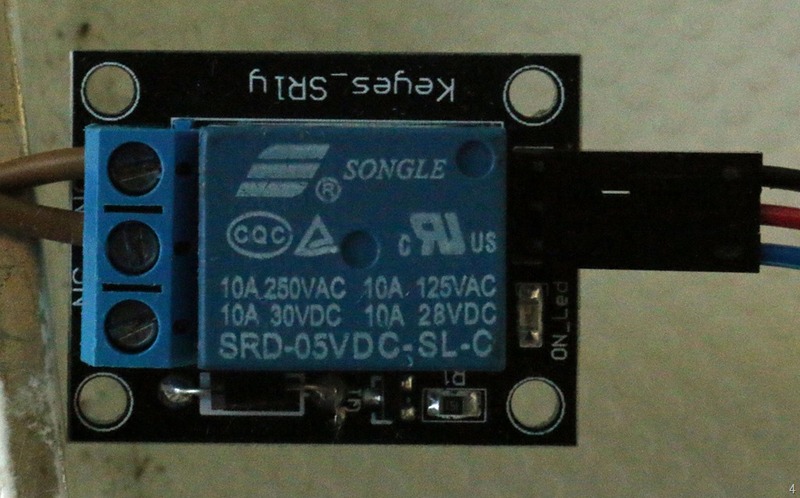 The fan is controlled using a Keyes SRD-05VDC-SL-C switch, as displayed here to the right. This is a relay that controls mains power. 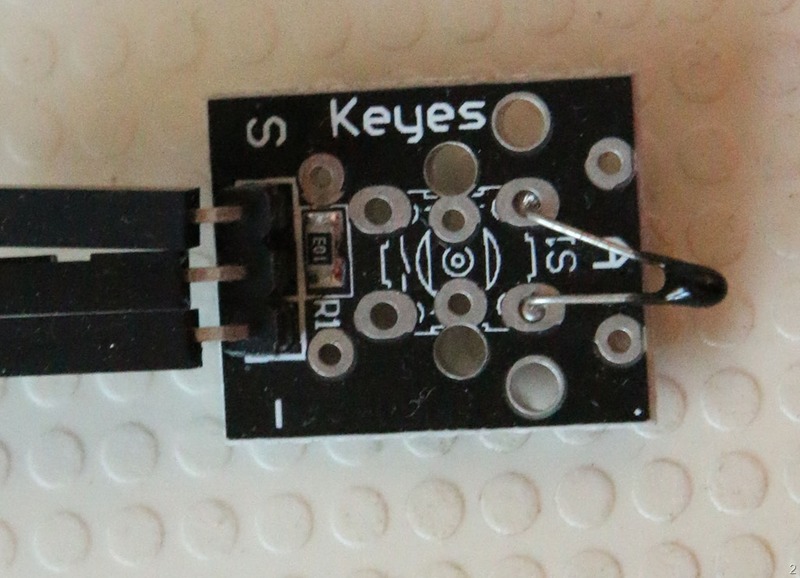 The Raspberry PI2 is a very low power device operating in the 5V range, so controlling mains power (100-250V depending where you live) requires there be something in between the Raspberry and the actual mains power - this little device here. 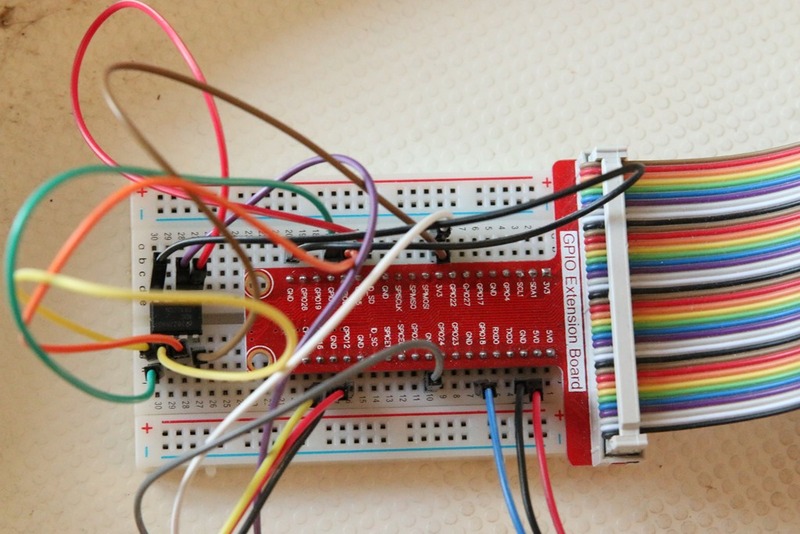 Connecting the mains power directly to the poor PI2's GPIO pins would most likely result in a spectacular but rather short fireworks, so that's quite inadvisable to do. 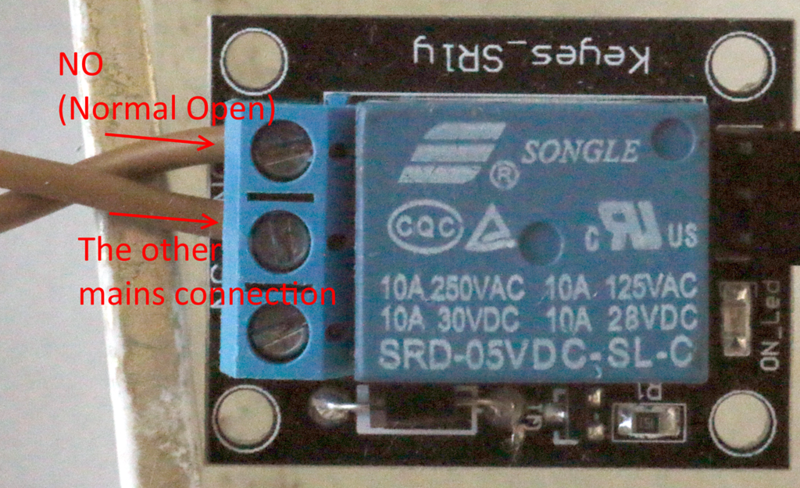 Sometimes you can briefly see the red status LED of the SRD-05VDC-SL-C blink red when it is initialized like this. Be aware that there may be a short power spike in the attached mains power, and be sure the device that run on mains power can handle it. This is actually a very simple class, and it's intent is to remove the necessity of calling Windows.Foundation.Metadata.ApiInformation‏.IsTypePresent every time you need a GpioController. You can now simply check whether the Controller property isn't null, which is a bit easier and shorter. The ShowStartup method, finally, shows the startup sequence. Edit 18-09-2015 - simplified SwitchDevice.Toggle method considerably after comment from @robvanu - thanks! A very short one this time. I wanted to give some UI element the same color as the accent color, but I wanted to use it from code, not from XAML, as written for instance here. 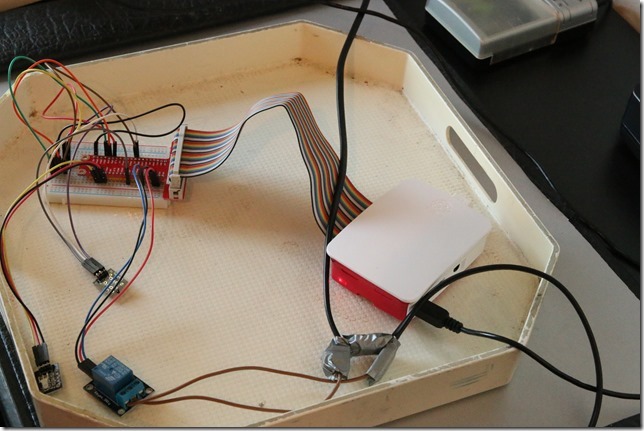 I used in my latest IoT demo solution that you can find here. It's in project TemperatureReader.ClientApp, class Behaviors.BlinkBehavior. TemperatureReader.ServiceBus contains the actual code for the Service Bus code. 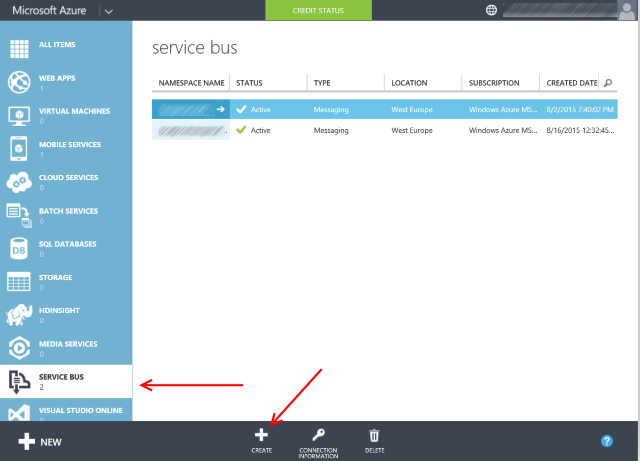 You need to select the tab "Service Bus" below, then hit the "Create" button. Then you get the pop-up as displayed on the right. 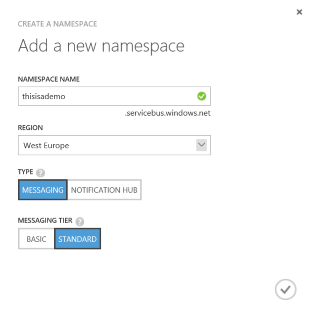 Make up a nice namespace name (Azure will tell you if it's available or not), then select a region. As I am living in the Netherlands, I typically choose "West Europe" but feel free to choose otherwise. The rest of the settings can be left as they are - although you might consider setting the message tier to 'basic'. Hit the check mark, and you get the image below. 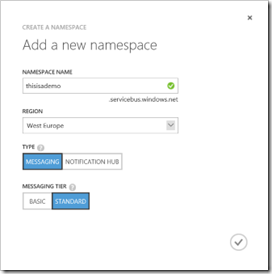 In any project that you want to use Azure Service Bus in, you will need to use the NuGet package "WindowsAzure.Messaging.Managed" (assuming your are using a managed language like C# or VB.NET). If a QueueClient object is created, it accepts the name of the queue, the queue connection string (that impossible long string in Settings.TemperatureBpusConnectionString), a message time-to-live and a QueueMode (can be either Send or Listen). Notice it has a type parameter - that is the type of object you are allowed to put on the queue - or can expect to come off it. To get the thing going, you will need to call Start. This first tries to create the queue. Unfortunately I have not been able to find out how to check if a queue exists first, so I have resorted to the rather crude method of swallowing an exception if creating the queue fails - and assume that the exception was caused by an already existing queue. Then it will create an actual Queue object (Microsoft.WindowsAzure.Messaging) - and if it's a Listen QueueClient, it will attach an anonymous method to the OnMessage method of that queue. That method will hoist the data object from the queue and pass it on to whoever is subscribed to the OnDataReceived event of the QueueClient itself. The QueueClient's post method is basically a typed wrapper on the Queue PostData method, except that it will prohibit from posting if this is a Listen client - to prevent it swallowing it's own message. Finally there is the Stop method, that just disposes the queue. The only thing there is left to set is the QueueMode, since you typically want to create one listening and one sending queue client. If you now look in the MainPage_Loaded in MainPage.Xaml.cs in TemperatureReader (the IoT project) you will see a TempeatureQueueClient, processing temperature data, being set up as Send queue client while a FanSwitchQueueClient is a Listen queue client - which makes sense, as the Raspberry PI2 sends temperature data, but listens for commands to switch on or off the fan (ultimately coming from a Microsoft Band, somewhere in the world). An Azure Service Bus client is a great way for simple one-to-one real time connections that can allow for some lag to happen between connected devices. It's very simple to use, can partly be created from code, is secured by default and does no require you to deploy a separate website to Azure to host a connection hub - the queue is hosted on Azure itself. 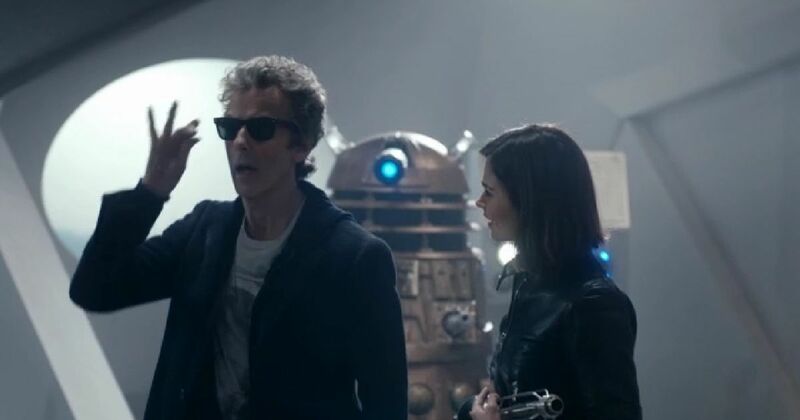 And the awesome thing is - the code runs on both a Phone and a Raspberry PI2. It's in the same assembly. That is the power of the Universal Windows Platform. 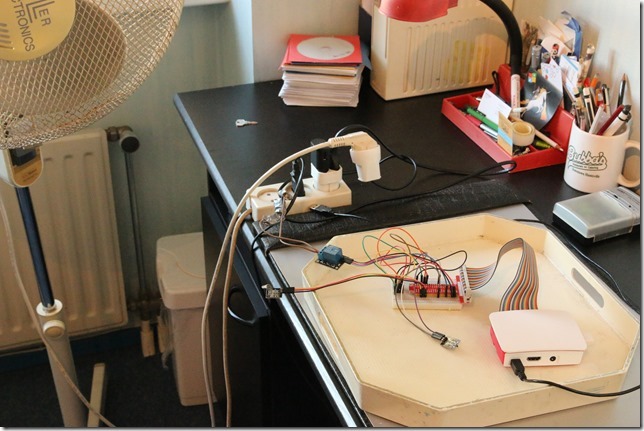 Next time I will show how to actually measure temperature on a Raspberry PI2. Switch the fan off again if I feel like doing so. listen to and act on events coming from that Band UI. If I open the custom tile on my Band, the app on my phone gets a signal to transmit the last received data from my Raspberry PI2 (the temperature, last received update date and time, and whether the fan is on or off) to the Band, followed by a single vibrate. If I tap the fan toggle button on the custom UI on my Band, the app should respond to that as well, send back a signal over the Azure Service bus queue - and display on the Band the fan is on (and can now be switched off). 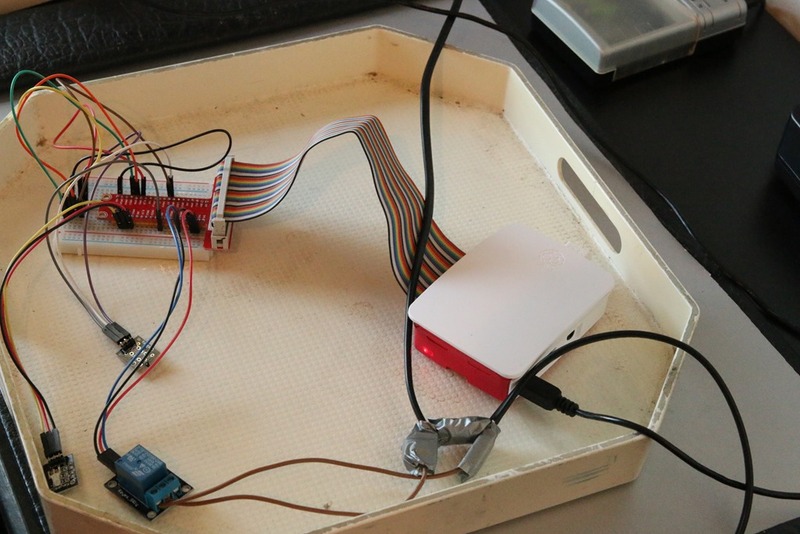 On the Raspberry PI2 is a CoreIoT app that measures temperature and sends data over the Azure Service bus queue every five seconds, and also listens for fan switch on/off commands. It should also display it's 'health' by letting the connected two-color LED flash in green when a correct temperature is measured and transmitted, or red when something goes wrong. I also included a sequence on which the led rapidly blinks red/green to indicated the app is starting up. This is very handy when you set the app to be the default app - that way it's automatically started after the PI2 has booted Windows 10 CoreIoT and you can then see the app is actually starting up, even if there's no display connected. Thanks to the Azure Service Bus being ‘somewhere’ in the cloud, I can read the temperature in my study on my Band where ever I am in the world. And while that may not be the most useful thing to do, I actually have used this contraption for real when I was on holiday in Germany for the past 1.5 weeks - in stead of a fan, I connected a spotlight to it, enabling me to turn on a light at home at random times in the evening, in order to confuse potential burglars. Like I said,Windows 10 CoreIoT will always try to keep the default app running - after there's a power failure or a crash, it automatically (re)starts that app. A very useful feature when you are hundreds of kilometers from home and cannot hit a reboot button. It requires you to deploy a web site, while the infrastructure for a Service Bus is 'hosted' by Azure itself. Signal/R signals can only be delivered real time - that is the nature of Signal/R. If you missed it, you missed it. Tough boots. A queue makes it possible to receive data for a little while after it's been sent. Security is a bit iffy - everyone who knows the address of my previous Signal/R hub solution can listen in on the data. Of course, I can encrypt that, or do access security - it's all kind of a hassle and it feels a bit roll-your-own. There is also a disadvantage - unlike with Signal/R, there is basically only one client possible - that is the nature of a queue. If a client picks up the message, it's removed from the queue. A second client listening won't get it. So a 'broadcast' scenario is not possible. But since this is exactly what I wanted, this suited me perfectly. And my good friend Matteo Pagani from Italy had played with if before, and was kind enough to provide me with some starter code so I could go off to a flying start. This is a high level overview of the setup: Calling this 'architecture' is a bit rich I think, but it is intended as a global overview. Although it is not entirely correct, as this picture suggest signals go between phone and PI2 (and back) over a single channel, while in fact there are two queues - one for each direction. Temperature data goes from PI2 to phone over one queue, the command to toggle the fan over the other. Contrary to most of my demo solutions, this is a more architected solution. It uses separate components connected by dependency injection, and the Windows 10 (mobile) client is a fully fledged MVVMLight app. This is because I wanted to show a little more of how to do things in a more robustly architected way. It also makes it easier to split the blog post into manageable pieces. This is not just a simple demo - it's a complete setup. 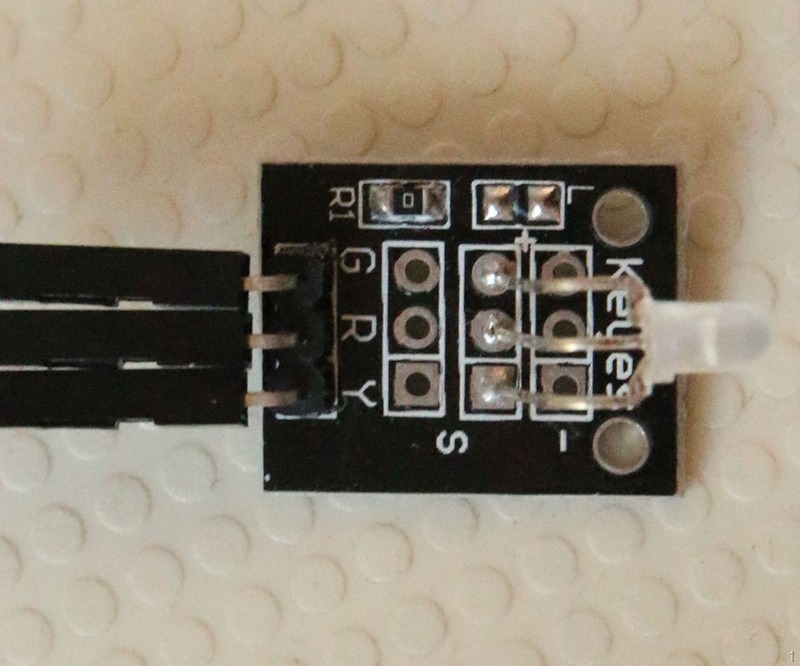 TemperatureReader.Logic - contains all of the logic of reading temperature, flashing the LED and controlling the relay using the GpioController class. 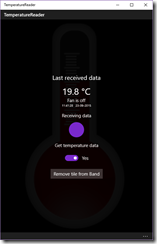 TemperatureReader.ClientApp is the Windows 10 UWP application that acts as intermediary between the Band and the Raspberry PI2, listening to the signals coming from the PI2 and acting on commands and/or event from the Band. It has it's own user interface to show data and initialize the Band. 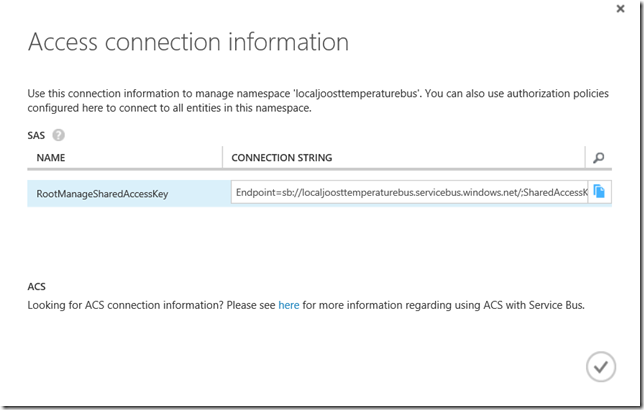 TemperatureReader.ServiceBus code handling communications via the Azure Service Bus. 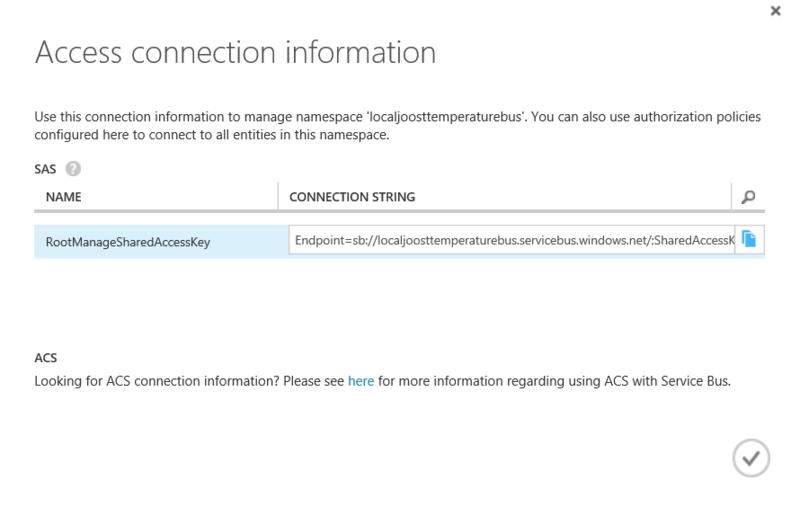 TemperatureReader.Shared - contains the data objects that are shuttled over the Service Bus, as well as a global definitions class that defines pins used on the bread board, Azure access keys, and stuff like that - because I don't like magic strings and numbers. A word of warning: the hardware configuration uses a relay switch to control mains power. Depending on where you live, that's between 100 and 250 Volts. We are not talking battery power here - this is the stuff that comes out of your wall plugs, drives the washing machines, refrigerators, air conditioners and whatnot, has serious oomph behind it - and can seriously hurt you if you mess around with it. In my sample I have cut a mains cord, reconnected one part via the relay and reconnected the rest using barrier strips. 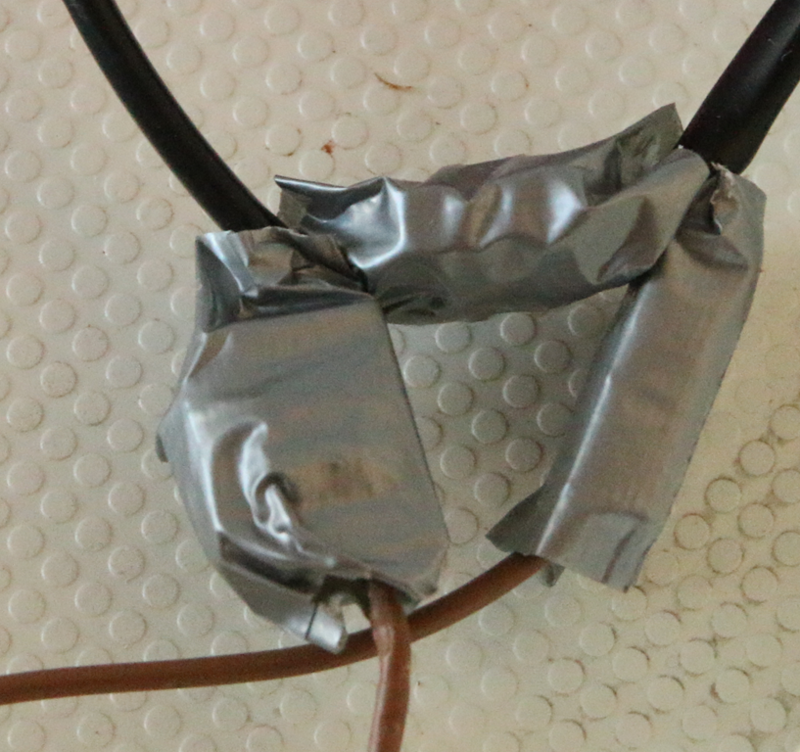 I sealed the connections using duct tape. At the ends of the mains cord are a mains plug and a main socket, so it can be used to control any mains power driven device. Be sure that you are careful with live wires and be aware that whatever I show you most likely would not get approval from a skilled electrician. If you re-create my setup with your own hardware, I cannot accept any responsibility for things going wrong. I also strongly suggest not letting the setup connected to the mains power unsupervised. This is a test/demo project, not a production unit. This is an easy one. 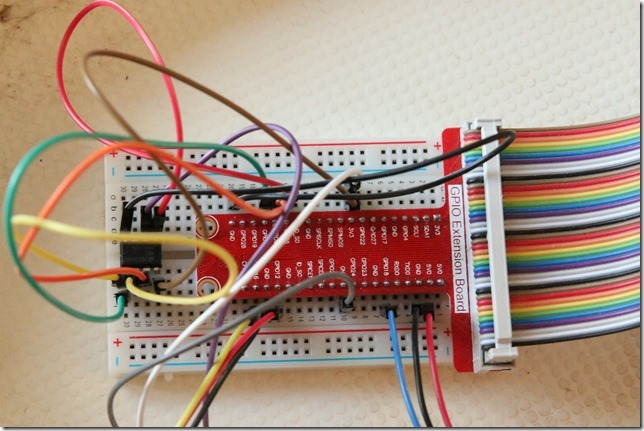 I have connected "R" to GPIO12, "Y" to GPIO16, and "G" to GND (of course). 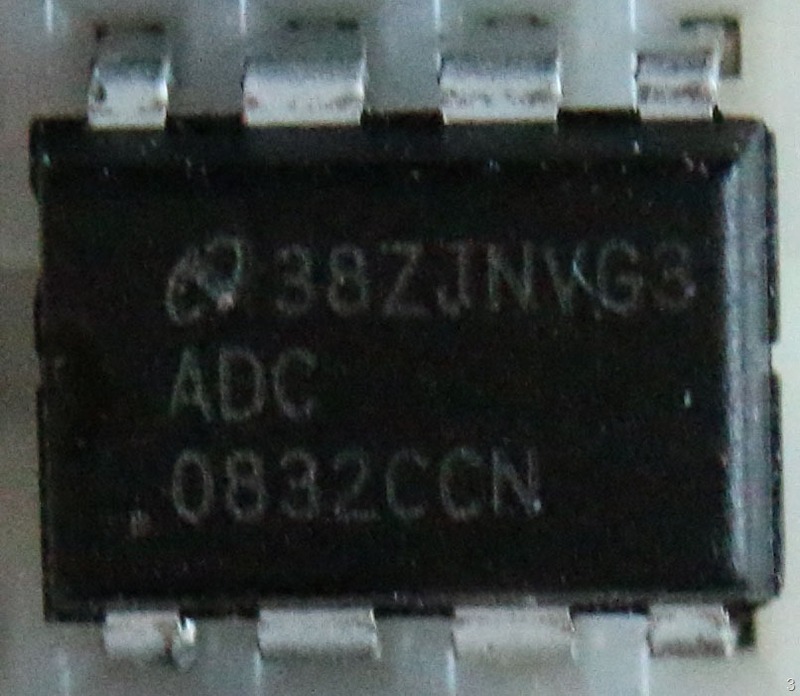 A bit more complicated, as the are no markings on the pins of this device. 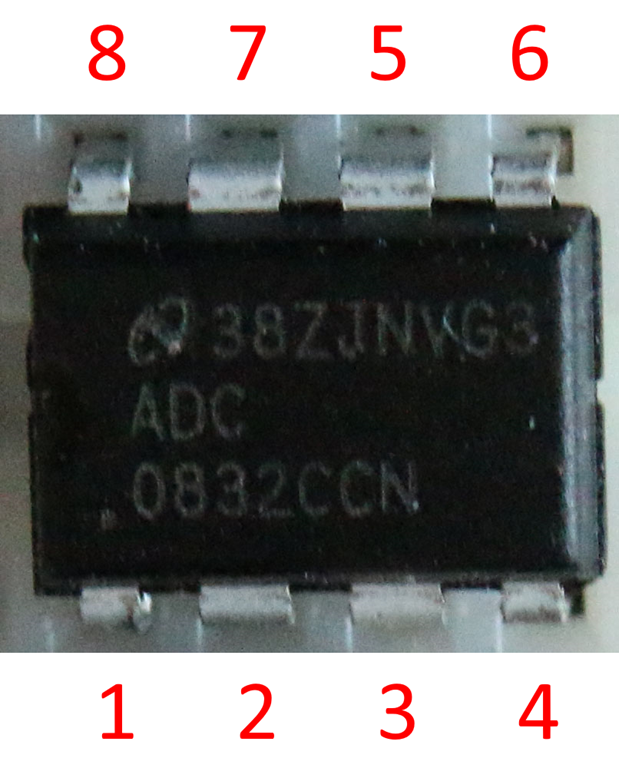 If you hold it the way that you can read the text on the blue block and the pins are sticking out to the right (as in picture 4) I have connected the top pin to GND, the middle pin to 5V, and the bottom pin to GPIO18. 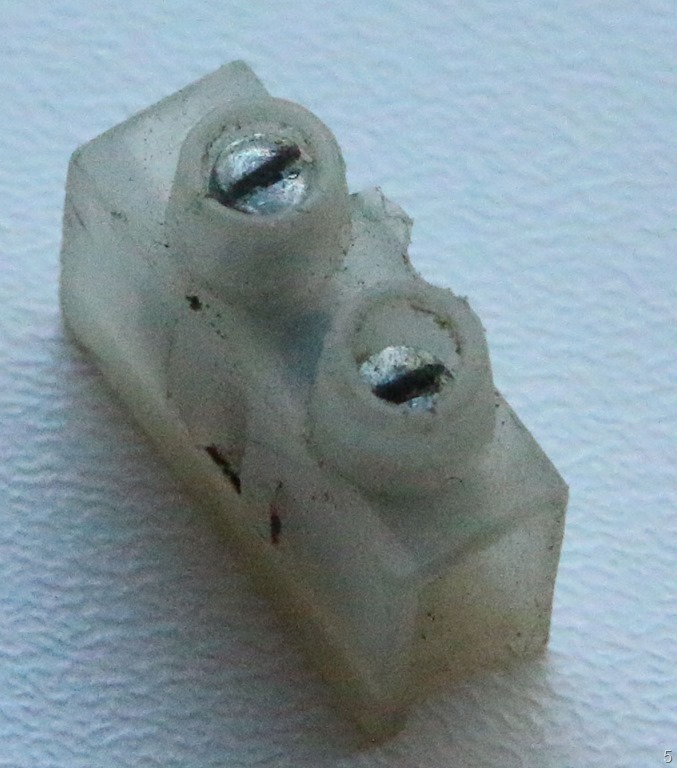 On the other side, the part with the screws on it - I connected the mains wire. I cut this first, then reconnected to mains using three terminal strip units - an sealed the stuff with duct tape. As already stated - follow this advice at your own risk. Basically one wire goes straight trough, the other part goes through the switch. Now it's not easy to see, but if you hold the switch like displayed on picture 4 (and below), you will see screws on the left side, and you can just about read "NO" under the top screw, and "NC" under the bottom screw. This stands for "Normal Open" and "Normal Closed". You fix one of the mains wire to the NO screw, and the other under the middle screw. 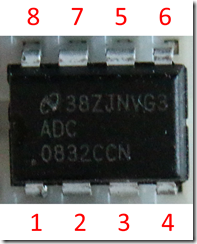 I have connected the middle pin to 3.3V, the "-" pin to GND, and "S" pin to 2 of the AC-converter (see below). That converter is the hardest part. 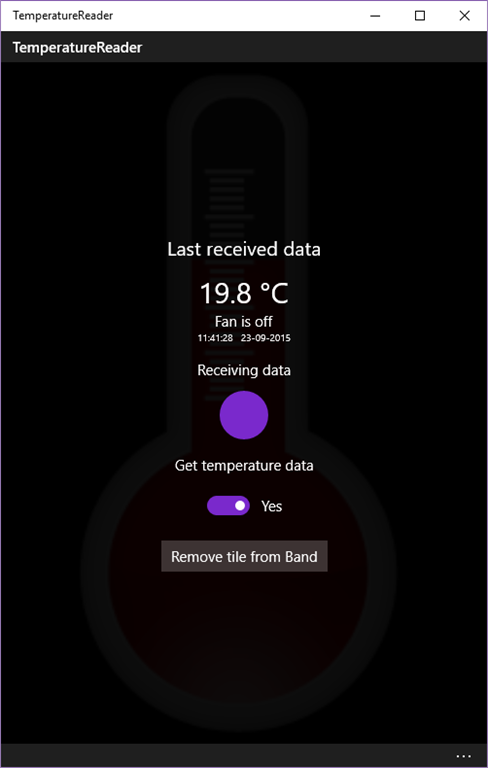 Deploy the TemperatureReader.ClientApp to a Windows 10 device with a Microsoft Band to it. The next episode in this series will explain how the Azure Service bus is utilized as an IoT communication conduit.